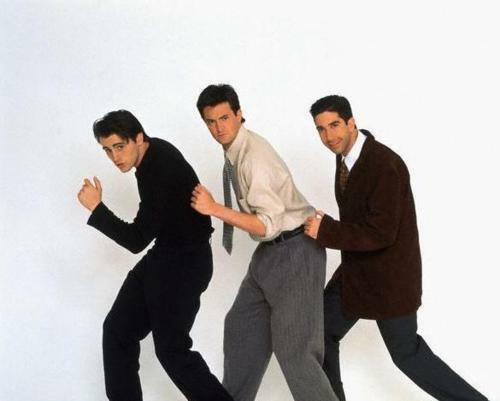 Joey, Chandler & Ross. . Wallpaper and background images in the Friends club tagged: friends characters tumblr ross chandler joey matthew perry matt leblanc david schwimmer. This Friends photo contains business suit, suit, suit of clothes, well dressed person, suit, pants suit, and pantsuit. There might also be single breasted suit, pinstripe, dress suit, full dress, tailcoat, tail coat, tails, white tie, and white tie and tails.